North Cascades National Park - Diverse Beauty and Recreation "
The North Cascades National Park was first established in late fall of 1968. The North Cascades act came into play and created the complex which was made up of nearly 700,000 acres of lush green land and with it an abundance of flora and fauna. The act also included a northern and southern unit to be added on to the park as well as the recreational areas that would come shortly after. This act was added to in the late 80's when congress renamed over 90% of the included areas as the Stephen Mather wilderness at which time they began to boost protection around those regions. Throughout history this area was noted for its very traditional way of living. There were fur traders who traveled both on foot and by boat over the waters near the Cascades. There were settlers who came to the area and took to trapping local animals and selling their skins, and there where those who slowly came to specifically map out the nature of the land. The park complex is actually a combination of three areas that lie within the US National Park Service jurisdiction. There's the North Cascades Park, the Ross Lake National Recreational Area and the Lake Chelan National Recreational area. The entire complex lies in the northern part of Washington State along the Canadian border. The North Cascades are only a few hours out of Seattle, making it an easy day trip for those visiting the city. The park's breathtaking jagged peaks are recognizable for those familiar with the area, promising a wealth of outdoor landscapes to explore including more than 300 glaciers. The many waterfalls, towering mountains and diverse selection of recreational activities are exceptional and visually stunning. 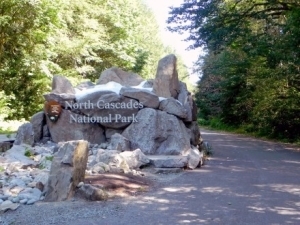 The North Cascade National Park complex also has several campgrounds within its borders that you can use with a permit. There are more than 150 camp grounds in the park with the most popular being Newhalem, Goodell, Colonial Creek campgrounds. You can reserve the camp sites far in advance and there even some back country camping site permits available for those who want a more out of the way stay. The park offers a wide range of camping experiences whether you camping in your car, in an RV, boat, or trekking across the wilderness, you'll have your pick at North Cascades National Park. Outdoor activities include stopping along the way and exploring the picturesque North Cascades highway. 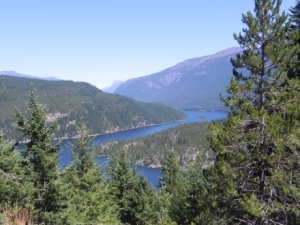 The Ross Lake National recreation area is just one of the many scenic places to enjoy a quick picnic and rest on your way to your camping area. You can also stop by the visitor center and find out more about the area with the help of one of the park's rangers. 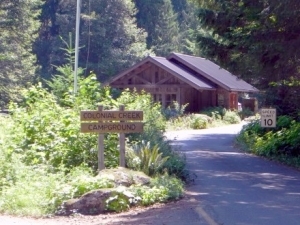 Some of the more popular activities in the park complex including climbing, backpacking, camping, fishing in one of the parks many rivers or lakes, biking, horseback riding and canoeing. A week long canoe trip on Ross Lake is an amazing way to experience the uniqueness of this area. Another great way to enjoy the area is riding the Lady of the Lake the full length of Lake Chelan to the remote community of Stehekin, a historic town located in the Lake Chelan National recreation area and the gateway to the state's most iconic wilderness areas. The North Cascades actually has one of the most varied ecosystems in the world. There are over 200 species of birds including the spotted owl and marbled murrelet which are on the endangered species list. Incredibly elusive animals like wolverines, the gray wolf and fisher in small numbers call the area home, as well as more adaptive creatures like pikas, Douglas squirrels and Columbia black-tailed deer who thrill visitors by letting their presence be known throughout the park complex. Fish are abundant in the area's streams and lakes as well and the lush green forests provide a beautiful backdrop for dragonflies, butterflies and more. The unique atmosphere of the Cascades ensures that you'll see wildlife you'll never observe anywhere else. The park itself is open year around. However, the North Cascades Highway usually closes between Newhalem and Mazama in late October due to heavy snows in the mountains and does not reopen until April. If you want to experience the intense beauty of the Pacific Northwest then there really is no better spot than the North Cascades National Park Complex. The Cascades area has unique flora and fauna, miles and miles of hiking trails, numerous camping spots and so much more for you to enjoy. The Cascades have an atmosphere like no other place in the world and it has drawn people to it for hundreds of years. If you like the outdoors and want to experience the great Pacific Northwest at its finest you should head to the North Cascades National Park complex. 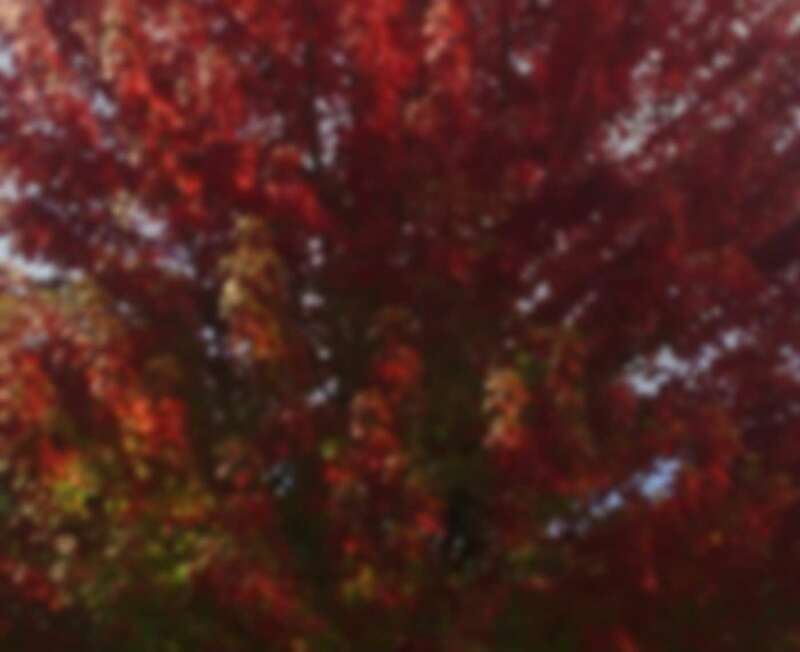 Visit our Home Page for more on the places to visit and things to do in the North Cascades.